TELEWORK OFFICE - IN OFFICE APPOINTMENTS/VISITORS MAY BE HANDLED BY A TELEWORKER AND NOT FACE-TO-FACE, INTERNET/TELECLAIMS ENCOURAGED; LIMITED PARKING AND STAFF, INTERNET AND/OR TELECLAIMS PREFERRED; \n?SSA EXPRESS MACHINES AVAILABLE FOR VISITORS TO FILE CLAIMS, REGISTER FOR MYSSA ACCOUNTS, CHANGE ADDRESS AND DIRECT DEPOSIT, ESTIMATE BENEFITS, APPEAL A DECISION, AND SECURE BENEFIT VERIFICATIONS. \n?THE OFFICE IS LOCATED ON THE N. SIDE OF PLYMOUTH RD. BETWEEN STARK AND FARMINGTON RD. WE ARE 2.5 MILES EAST OF I-275 AND 1.5 MILES SOUTH OF I- 96 IN THE CITY OF LIVONIA. The Livonia Social Security office is located in Livonia 48150. The following page includes information for this location like the office phone number, hours of operation and driving directions. If you have any interests or comments about your retirement benefits or are interested in making an appointment, call the following Livonia Social Security office. The Livonia Social Security office is located in Livonia 48150. The following page has information for this location like the office phone number, hours of operation and driving directions. 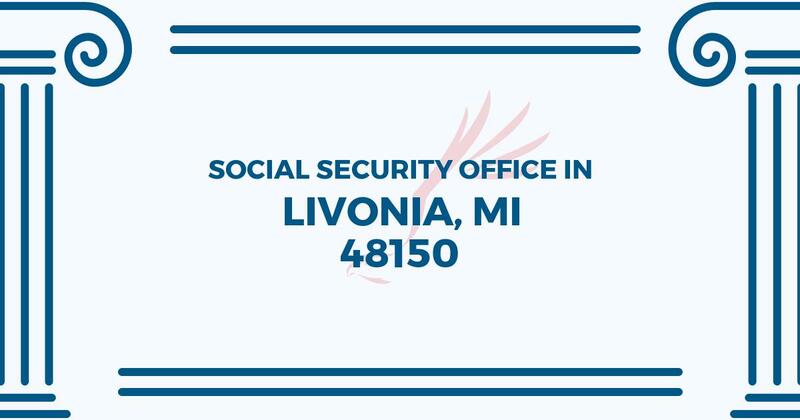 If you have any interests or concerns about your Medicare benefits or are interested in making an appointment, call the following Livonia Social Security office. I am filling out an application for the Medicare for Plan B, and the instructions are to mail it to your office. Can you please confirm this for me at the soonest.